The arrival of a new private financing platform in the UAE to support start-ups, private enterprises and SMEs will give a huge boost to “key engines of the country’s economic growth”, a legal expert said today. Zisha Rizvi, Partner at STA Law Firm, says the lead taken by the Abu Dhabi Global Market (ADGM) is a vital move to ensure the continued growth of crowdfunding, which can mean the difference between business success and failure for SMEs. The ADGM, an international financial centre in Abu Dhabi, last month launched its framework for the regulation of online Private Financing Platforms (PFPs) for non-public companies, with the aim to reduce the risk of obtaining financial support from crowdfunding. ‘SMEs, which comprise about 95% of the total establishments in the UAE, employ more than 42% of the workforce and are key engines of our economic growth,” said Rizvi. STA says the UAE is witnessing a continuous rapid growth of crowdfunding through a plethora of online platforms, and it was essential that government authorities should take steps to regulate the risk and protect the rights of the parties involved in such transactions. “The proposed regulations by the ADGM portray the UAE’s dedication to protect the interests of the enterprises that use financing platforms as alternate sources of funding by raising money from a qualified network of investors,” added Rizvi. Loans to SMEs account for just 4% of the outstanding bank credit in the UAE, below the MENA region average of 9.3%. 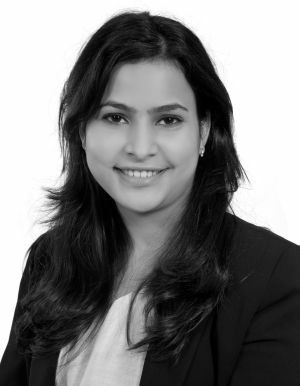 Zisha Rizvi is recognised as a leading UAE-based expert adviser on corporate law, banking and finance, litigation and real property in the global market.